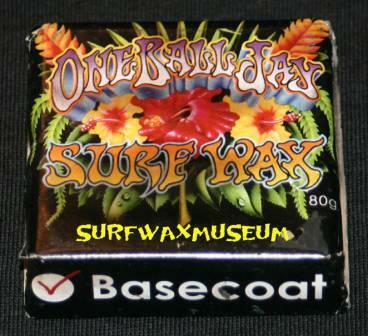 OneBallJay basecoat. 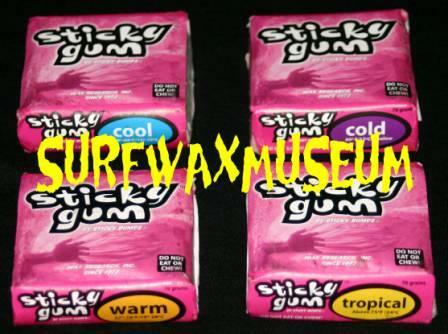 Just another I had in the collection. 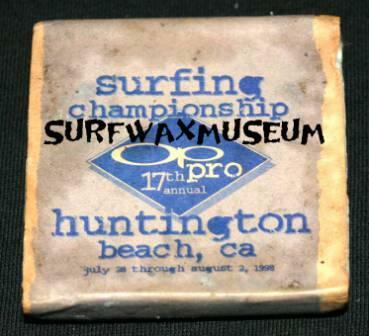 17th Annual OP PRO Surfing Championship at Huntington Beach. Made by S Bumps. 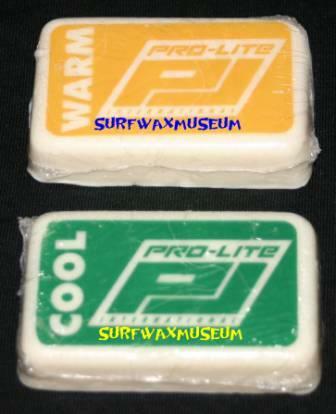 Pro-Lite Australian Formula. Two bars. Front of each bar. Here is the back of those bars. Kinda cool. I assume it is a decal, but I am not opening them to find out. Sea Kine Blue Bar. Australian. Tough to get. Killer bar. Sea Kine. Yellow Flower. This is exactly how it came. Way nice. Australian. 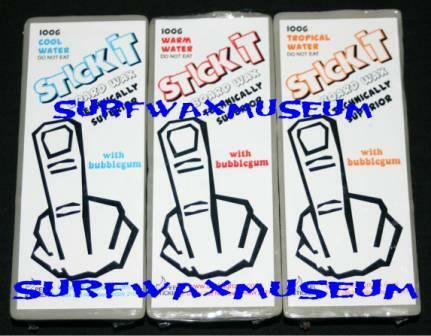 New Stickit Bubble Gum Set. 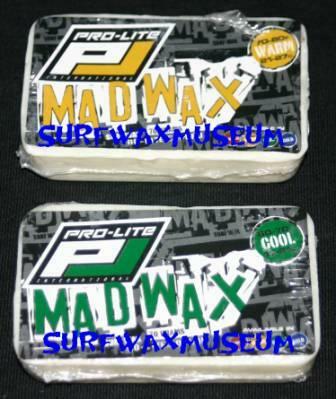 From the same maker as the other Stickit Wax I have, just a newer version with a great smell. Australian. 25th Anniversary of S Bumps. 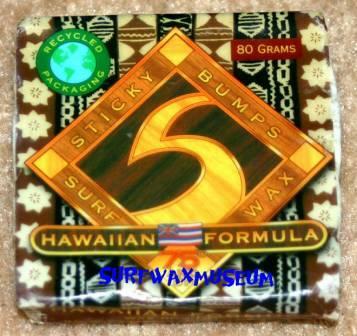 S Bumps Hawaiian Formula. 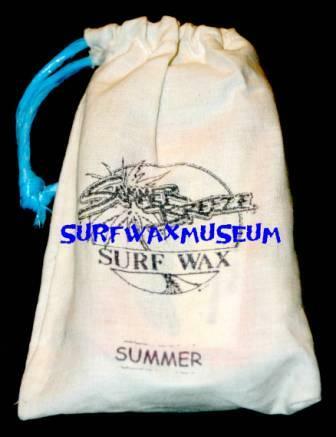 Hawaiian Tapa Cloth print. 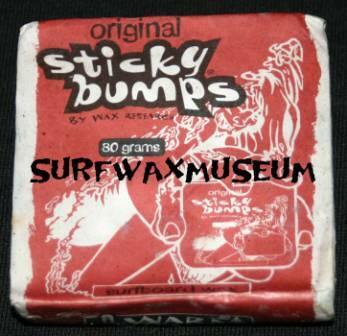 S Bumps Skimboard Wax. Nothing out of the ordinary, but I had to have it. Summer Breeze. Two bars in this baggy. Australian. Year??? 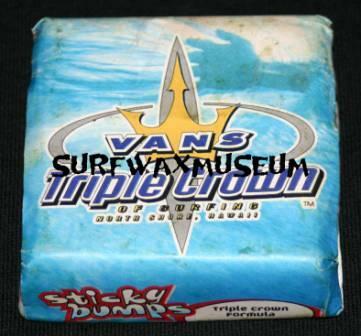 Vans Triple Crown. Oh yeah baby. Sweet logo. Done by S Bumps of course. 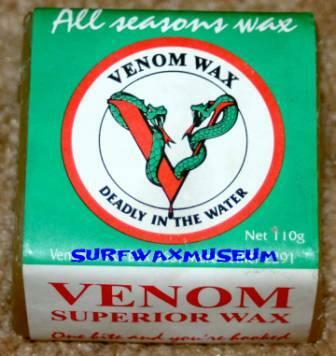 Venom. Same deal as the white label I have. 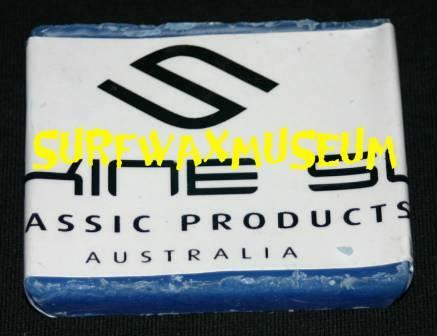 Same maker out of Australia. 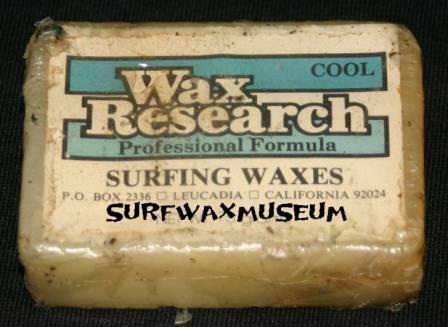 Wax Research Professional Formula. Earlier bar from the 80's. Need I say more?? ?